Life happens whether or not you’re ready for what comes next. Maybe it’s a job coming to an end, or an offer coming up. It can be a move out of the family home or even a transition to the dream home. There are business failures and unexpected successes. Bad and good, change crumples the plans you may have had. You have to pack up and move on. What separates successful people from those who just talk about success is the ability to let change land square on the jaw, and then keep moving forward. Successful people know HOW to brush the dirt off, adjust the sails, and find the strength to continue. They can because they know WHY it matters to do so, and they work toward a tangible goal. It’s likely these same people have written down their goals, and I’m right there with them. Writing down goals instead of just thinking about them makes it 42 percent more likely you’ll get the job done. That probably translates in the ledger, right? In fact, a group of students interviewed 10 years after graduation showed dramatic differences between those who wrote down their goals and those who didn’t. The students who wrote down their goals earned an average of 10 times the salary of those who never bothered to write anything down. The key is that writing down a goal activates both hemispheres of your brain. The right side of your brain comes up with the goal and packages it in a creative, attractive package. The left side makes it logical, tangible, and attainable. That’s HOW you make your goals become reality. Writing and drawing your goals makes you see them, process them, and store them deep inside. When your reason for pushing through tough times – your “WHY” – is deeply rooted, it’s easier to keep going. I’ve spent the past year becoming intimately acquainted with the changes life throws, as both my parents have spent time in the hospital, and now have me sorting through 50 years’ worth of accumulated memories. As I stood in front of the pile, I realized how deeply I wanted to simplify. It reminded me of packing for a trip to Europe. Could you pack for 10 days in a single carry-on suitcase and a backpack? I do it all the time. Instead of bringing shoes for every outfit, I bring five basic outfits to pair with sensible, comfortable shoes. I feel good wearing it, so it’s easy to put on. It starts with my “WHY” of wanting to bring my backpack because that thing is my treasure chest. I’ve carried accomplished dreams on my shoulders for years, and I know HOW to keep going. If I packed more outfits than I need, everything becomes a distraction. Instead of having my backpack strapped on, I’d have a massive suitcase to lug through the process. Who wants all that extra baggage? The only thing that big should be the reason for packing the bag in the first place. It’s a daring cliché to say your dreams should be so big they make you cry. Yet that’s exactly how big they should be. Over the years, my big “WHY” has changed often. I continue to simplify when it does. If I kept all my dreams on the board, I’d be dragging several suitcases through security. It helps to start with a limit – say 10 dreams. Then repack the list, and get it to five. From there, you sleep on it. Let life happen a little bit, and see what three items on that list still feel right. Take the three dreams you are passionate about, and you have your “WHY” all set. Then what do you do? You work backward, and figure out HOW to get there. I almost always have three dreams in my sights, and I almost always accomplish all three. As I sorted through my parents’ lifetime collection, I let my “WHY” drive my decisions. If I wanted to display something in my home, I’d keep it. Most of our memories didn’t need stuff, so I got rid of most of it. My son doesn’t want much from the piles, either; he prefers simplicity. I think we can learn something from him. As the summer season wraps up, take a look at your business and your family. Figure out the goals you want to achieve, and write them down. If you need help finding your “WHY” first, let’s get together. 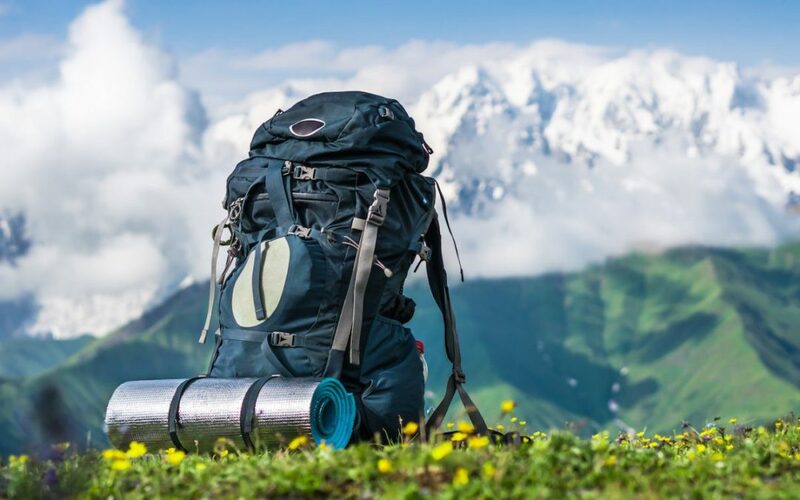 I’ll help you learn HOW to repack your backpack so you can enjoy the journey.